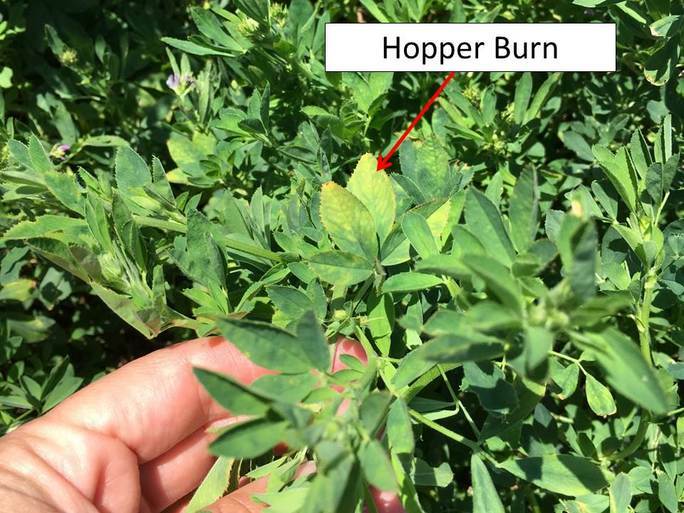 Potato leafhoppers have been infesting alfalfa fields throughout north central Kansas for at least the last month. 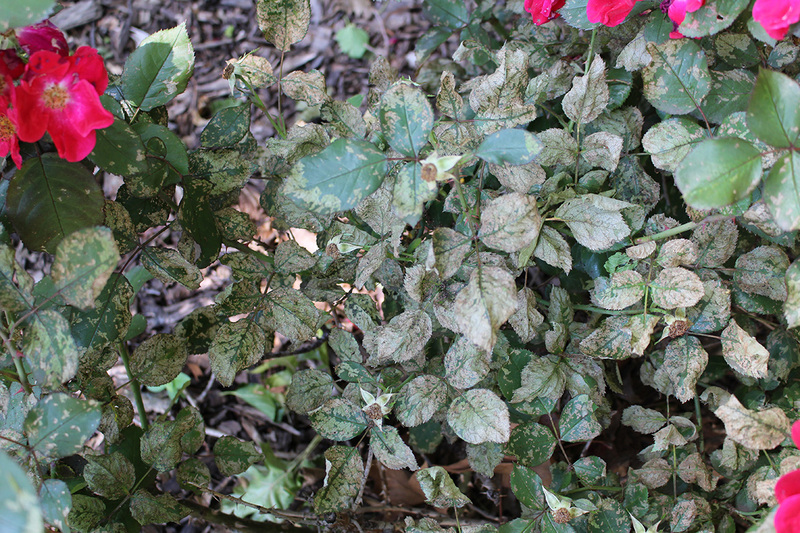 They continue to be very active, which is causing quite a bit of leaf yellowing, often called ‘hopper burn’, and even stem and whole-plant stress. 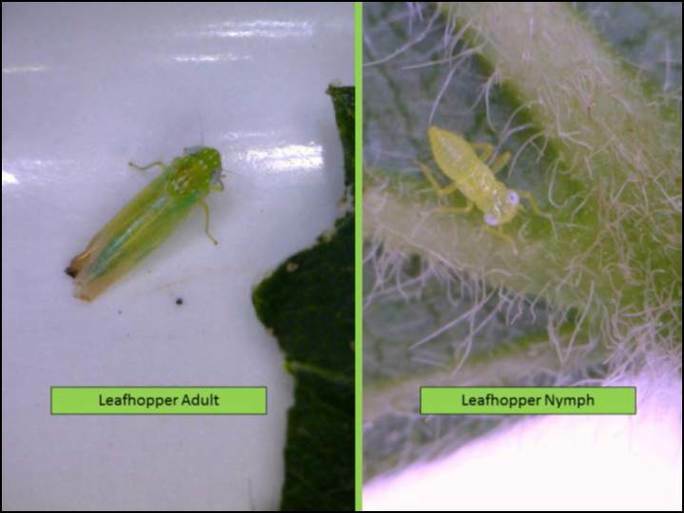 Typically, swathing is sufficient to manage leafhopper populations. However, they have been actively reproducing and there are many nymphs, so it will be especially important to continue to scout these fields after swathing. If a stubble spray is deemed necessary after swathing, one application is often highly effective and re-infestation is unusual. 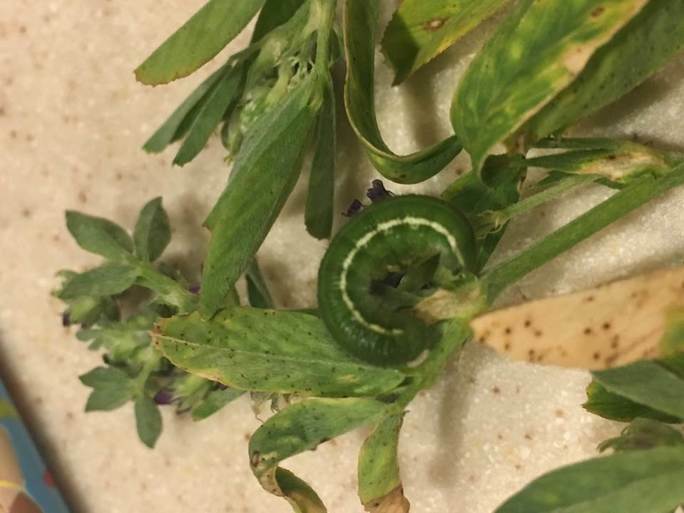 Alfalfa caterpillars are also quite common in alfalfa fields, where they feed on foliage, although they rarely do enough damage to warrant an insecticide application. They will eventually pupate and then turn into a yellow or white sulphur butterfly. Rose Sawflies: Out With a Vengeance! 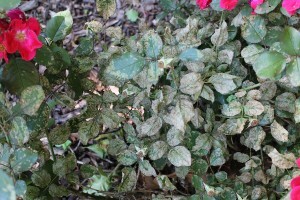 We are receiving numerous questions regarding insects feeding and completely devouring rose plants. These insects are sawflies, and there are at least two species that attack roses during this time of year: the rose slug (Endelomyia aethiops) and bristly rose slug (Cladius difformis). 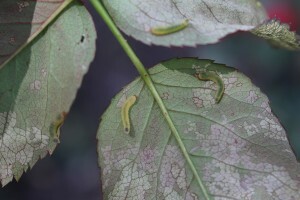 Rose slugs are the immature or larval stage of sawflies, which are black to yellow colored wasps. Rose sawfly females create pockets or slits along the edges of rose leaves with their saw-like ovipositor (egg-laying devise) and insert individual eggs. Larvae hatch from eggs and resemble a slug. The larvae are 1.2 cm long when full-grown and yellow-green with an orange head (Figure 1). Larvae eventually fall on the soil surface to pupate. Rose slugs overwinter as pupae in earthen cells created by the larvae. There is typically one generation per year in Kansas. Bristly rose slug larvae are pale-green and 1.5 to 2.0 cm in length. The body is covered with numerous bristle-like hairs (Figure 2). There is generally one generation per year in Kansas. Rose slug larvae feed on the underside of rose leaves; resulting in leaves with a skeletonized appearance (Figures 3 and 4) and eventually they create notches or holes on the leaf margins. 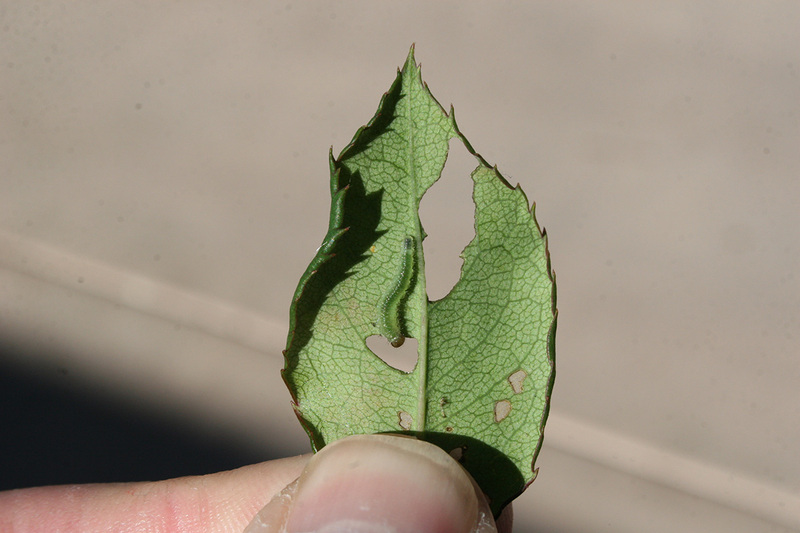 Bristly rose slug larvae feed on the underside of rose leaves and also cause leaves to appear skeletonized. However, the larvae may chew larger holes than the rose slug. Small infestations of either the rose sawfly or bristly rose slug can be removed by hand and placed into a container of soapy water. 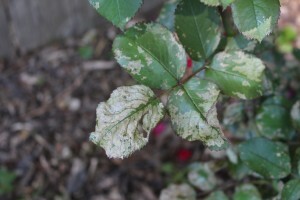 A forceful water spray will quickly dislodge sawfly larvae from rose plants and they will not be able to crawl back onto rose plants. There are a number of contact insecticides with various active ingredients that are effective in suppressing populations of both sawflies. However, the bacterium, Bacillus thuringiensis subsp. kurstaki (sold as Dipel or Thuricide) will have no activity on sawflies as this compound only works on caterpillars. 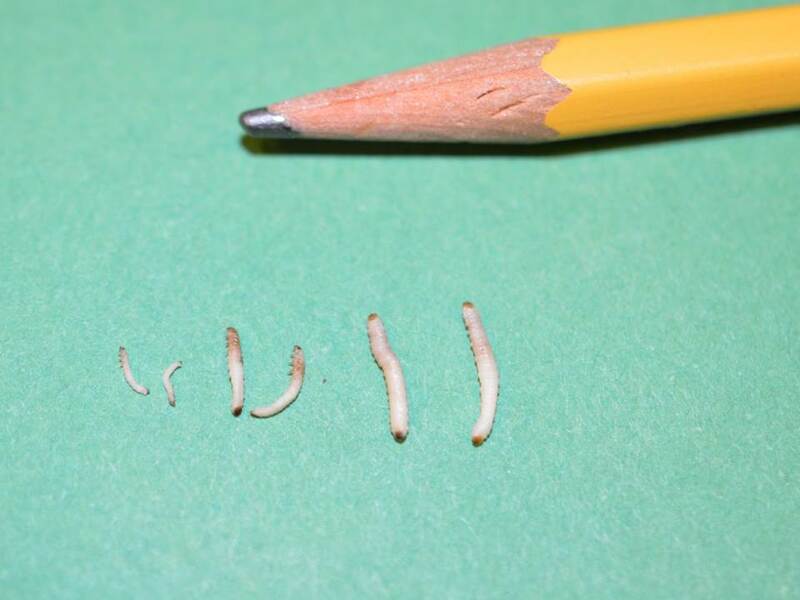 Worms (fall armyworms and armyworms) are still active in wheat and can be for another month, depending upon the weather. 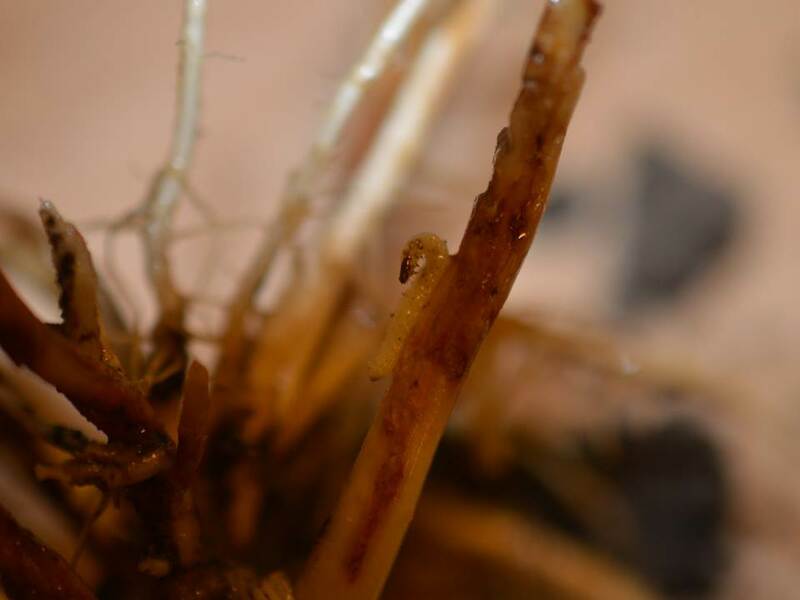 If growing conditions are good, the wheat should be able to outgrow feeding caused by small worms. Large worms have probably caused most of their feeding damage already, and hopefully, won’t be able to pupate, emerge as adults, lay eggs and have those eggs hatch again this fall. Winter grain mites may cause some concern in the next month or so, especially under dry conditions. However, insecticide applications are rarely warranted or impact next year’s yield. Again, good growing conditions will mitigate winter grain mite feeding damage. 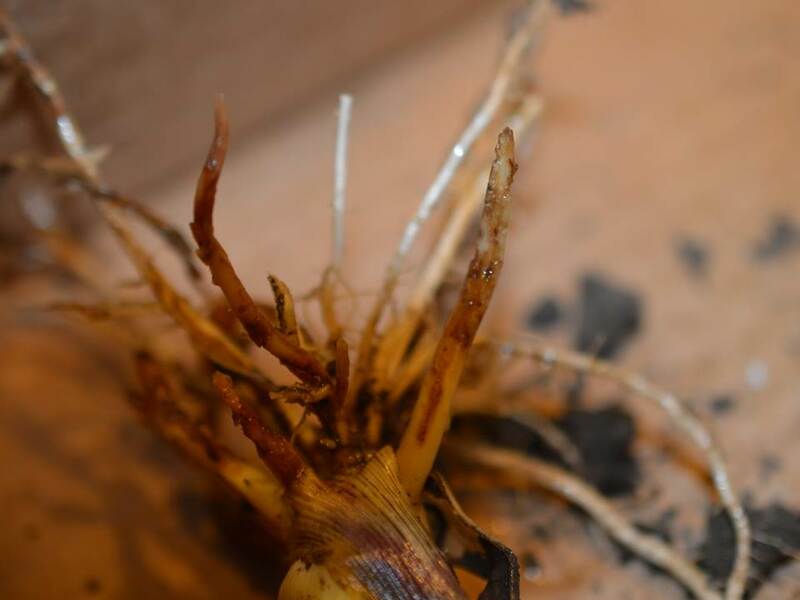 Several planted fields have already been sprayed to control worms. 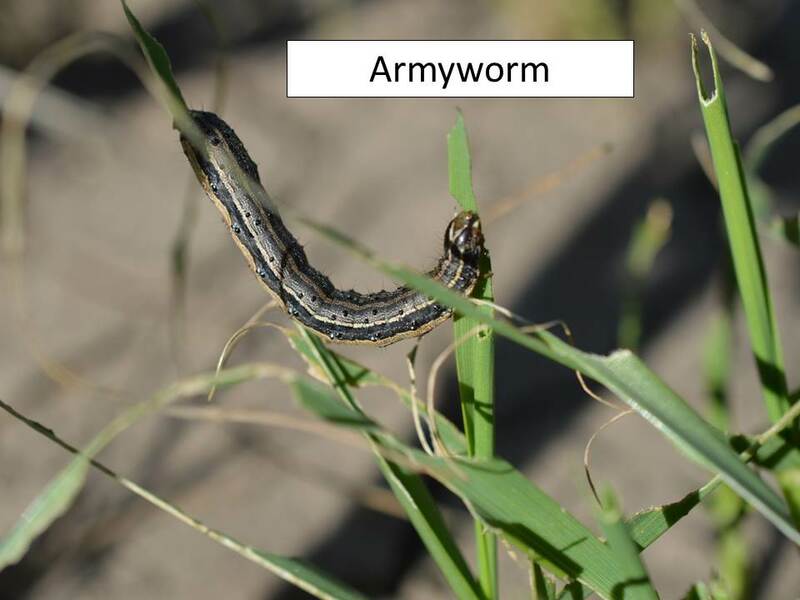 What we have been seeing in south central and north central Kansas are a combination of armyworms (see pic) and fall armyworms (see pic). Both of these species will do a similar type of damage. When they are small they will feed on one side of the wheat leaf causing what is commonly called ‘window paning’. 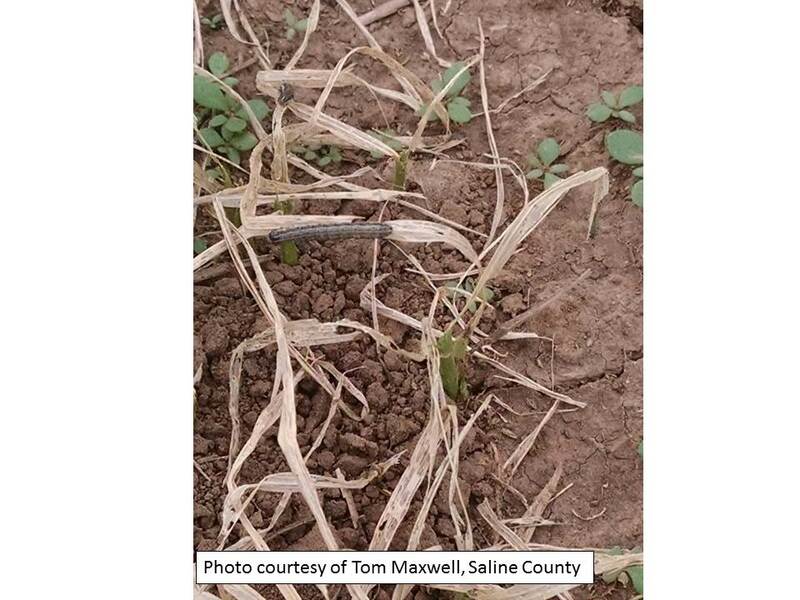 As the larvae grow they devour more and more tissue until it may become quite noticeable and, under unfavorable growing conditions, may even severely reduce the stand (see pic). 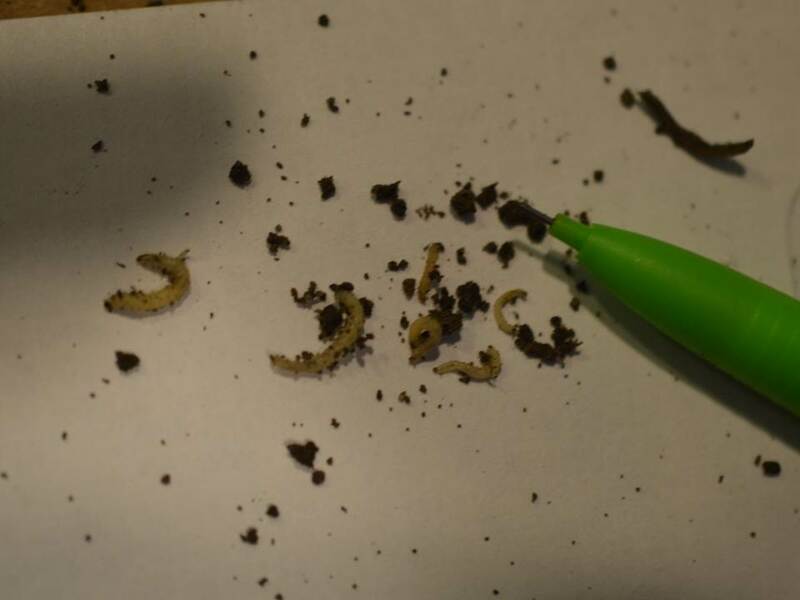 Armyworm larvae will feed, probably for a couple more weeks, depending upon temperatures, and then pupate. If we haven’t yet had a hard freeze, they may emerge as moths and lay eggs in other wheat fields. The first hard freeze will terminate armyworms. 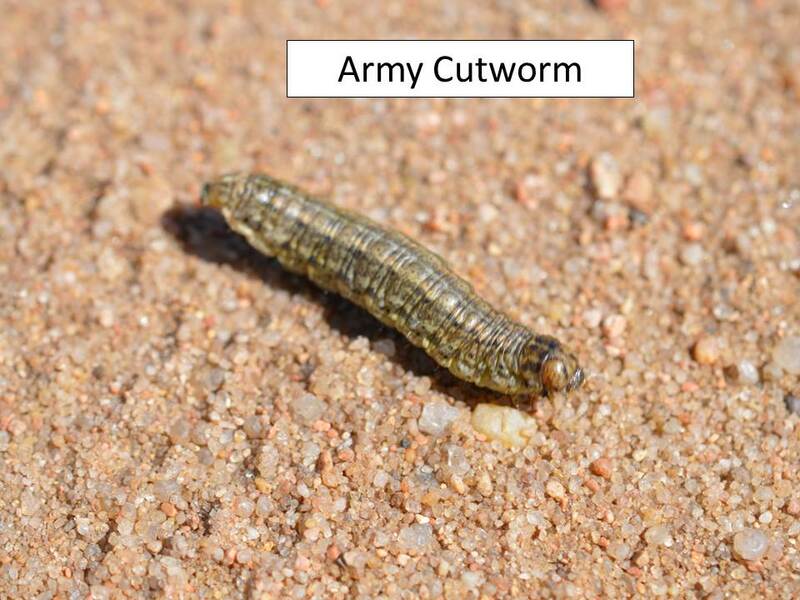 Army cutworms, on the other hand, will not be terminated by the first hard freeze but will continue to develop all winter, feeding anytime temperatures are over about 45°F and will complete their development in the spring (see pic). 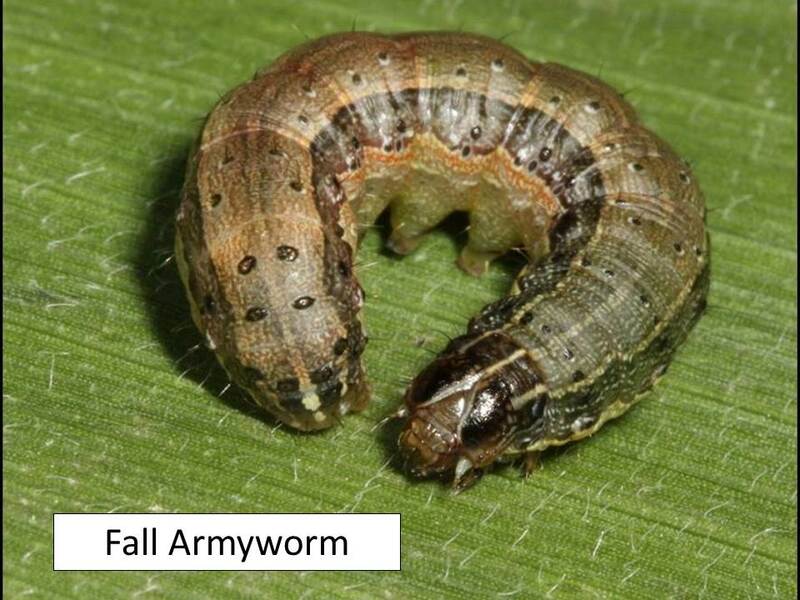 So, it is important to make proper identification of armyworms feeding in wheat as armyworms and fall armyworms will not be feeding throughout the winter and early spring but army cutworms will.